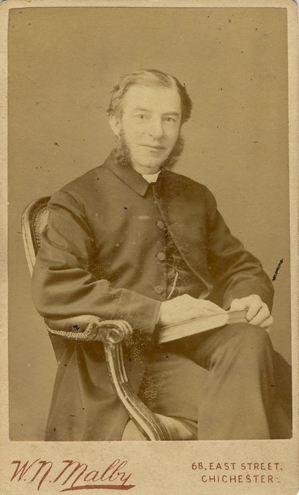 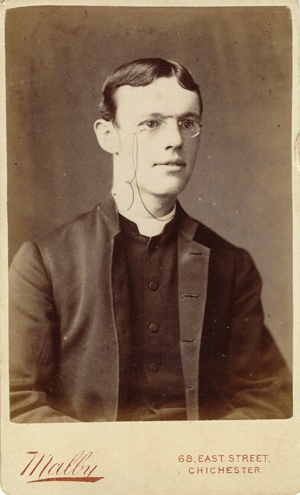 [ABOVE] A carte-de-visite portrait of seated clergyman by Walter N. Malby of 68 East Street, Chichester (c1885) [ABOVE] A carte-de-visite portrait of seated woman by Walter N. Malby of 68 East Street, Chichester (c1890) [ABOVE] A carte-de-visite portrait of a woman standing by a plinth by Walter N. Malby of 68 East Street, Chichester (c1885). 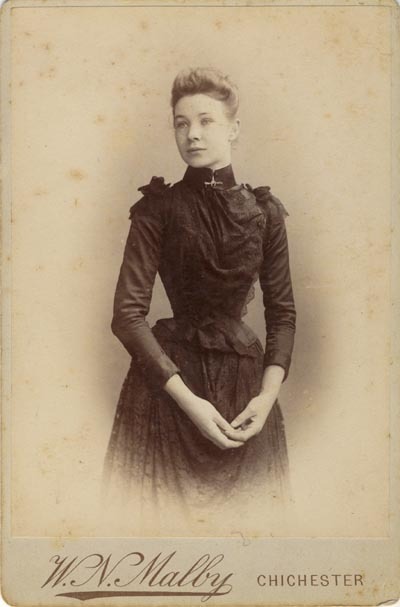 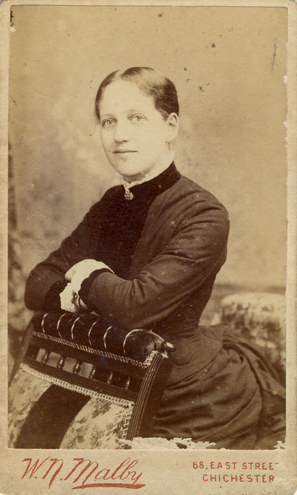 [ABOVE] A carte-de-visite portrait of seated woman by Walter N. Malby of 68 East Street, Chichester (January 1886). 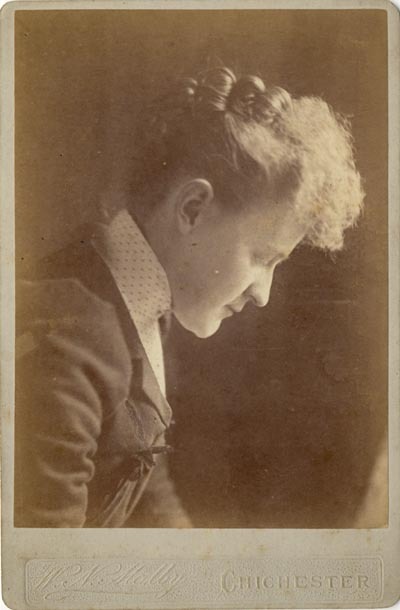 [ABOVE] A portrait of a young woman in profile. 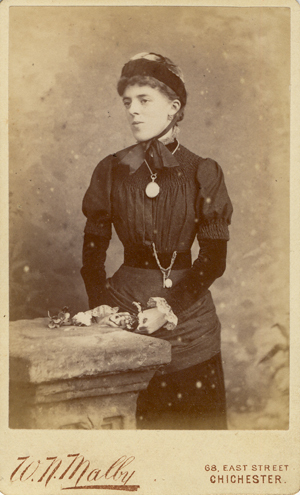 A cabinet photograph by Walter Noah Malby of 68 East Street, Chichester, (c1892). 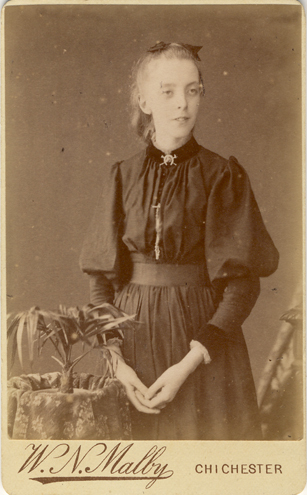 [ABOVE] A vignette portrait of a young woman. 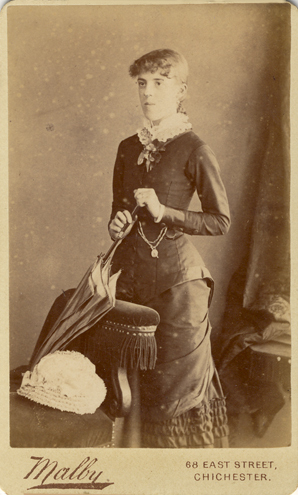 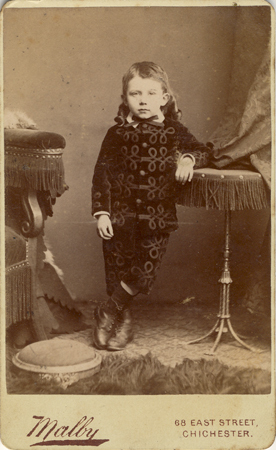 A cabinet photograph by Walter Noah Malby of 68 East Street, Chichester, (c1890). 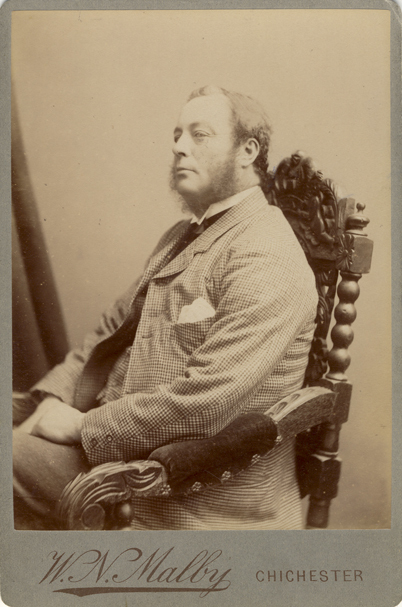 [ABOVE] A cabinet portrait of a seated man by Walter Noah Malby of 68 East Street, Chichester, (c1890). 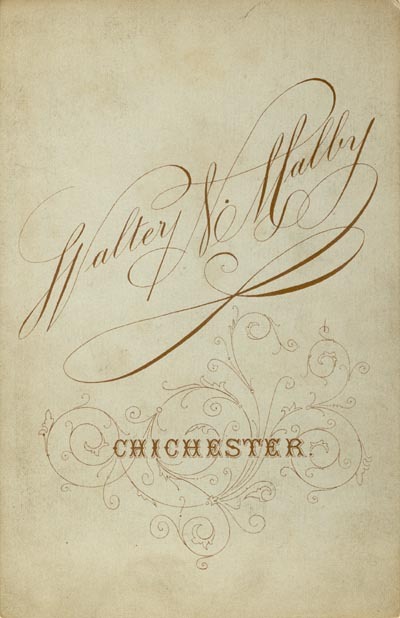 [ABOVE] The design on the back of a cabinet photograph by Walter N. Malby of 68 East Street, Chichester. 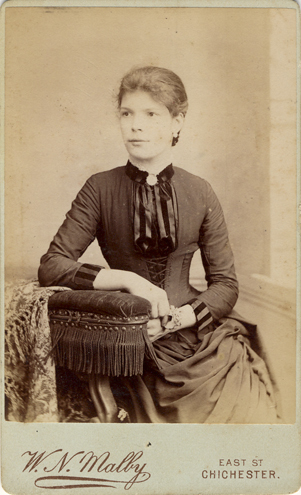 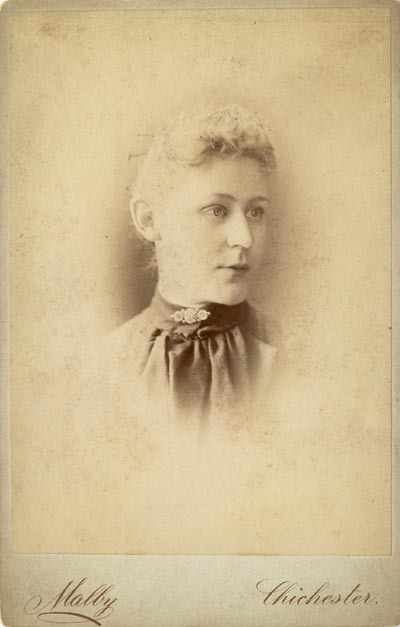 (c1892) [ABOVE] A cabinet portrait of a young woman by Walter Noah Malby of 68 East Street, Chichester, (c1888). 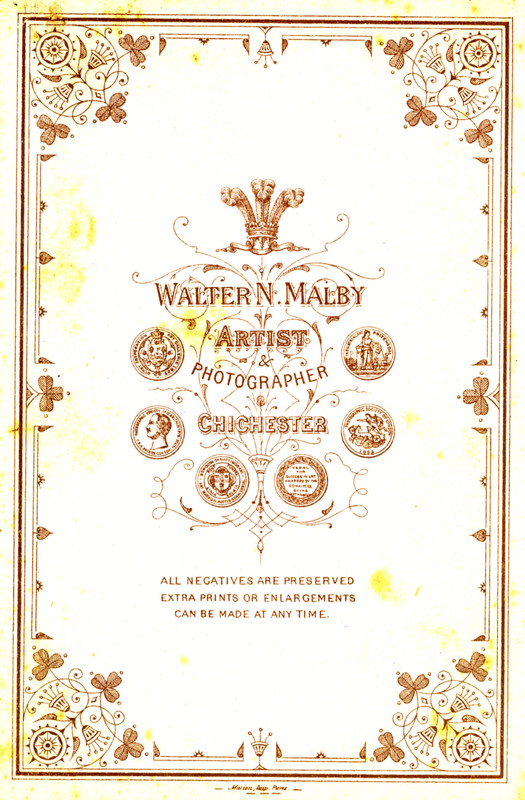 [ABOVE] The design on the back of a cabinet photograph by Walter N. Malby of 68 East Street, Chichester, showing the prize medals that Malby had been awarded in London, Derby and Nottingham (c1888).